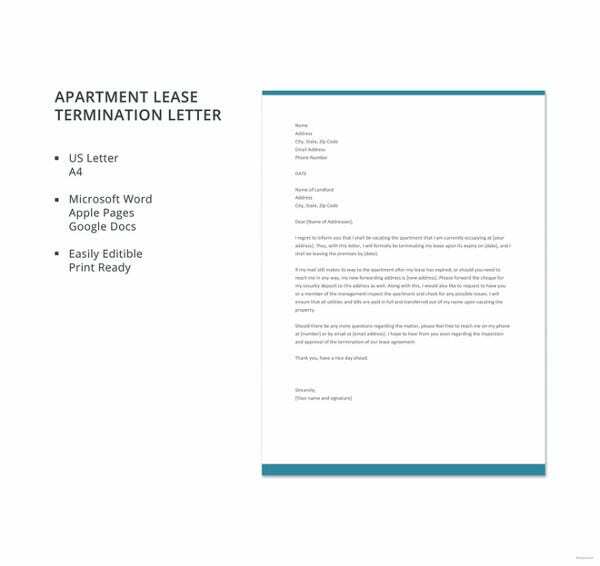 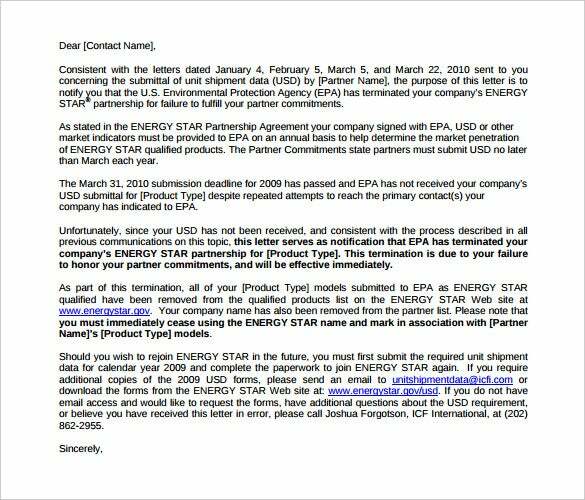 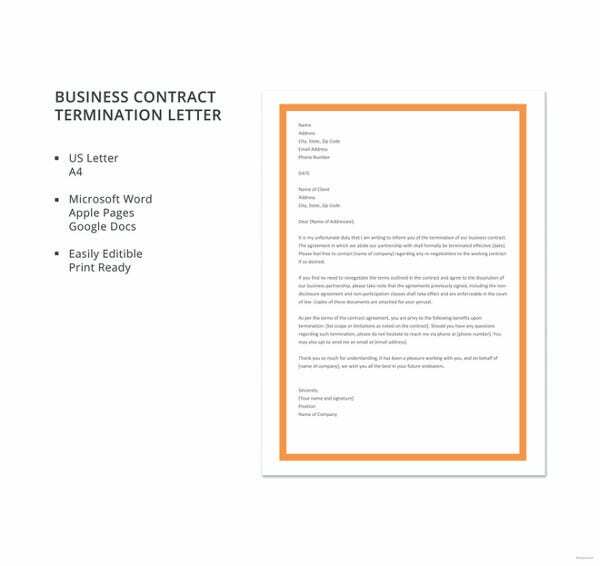 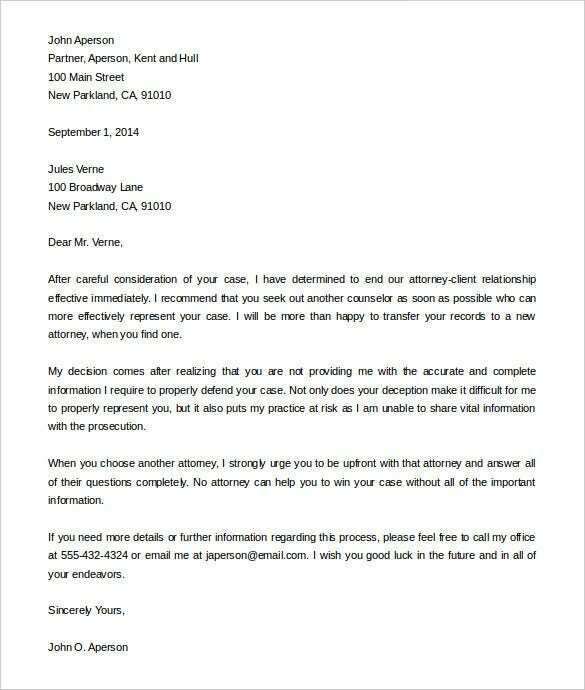 22+ Termination Letter Templates – Free Sample, Example Format Download! 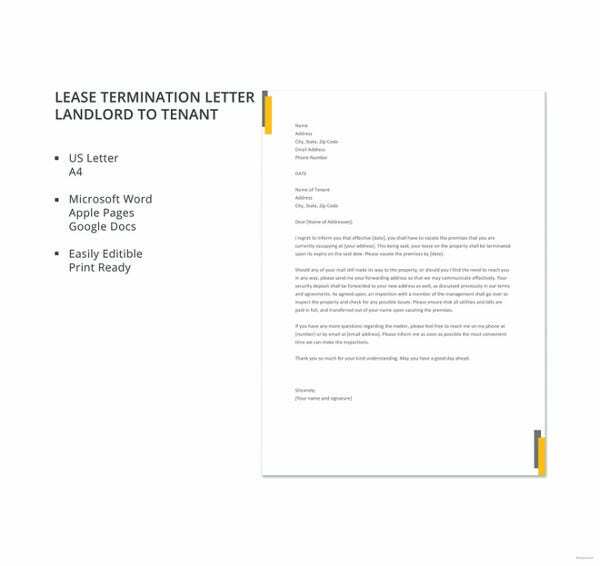 There are different types of termination letters, and each is written for specific reasons. 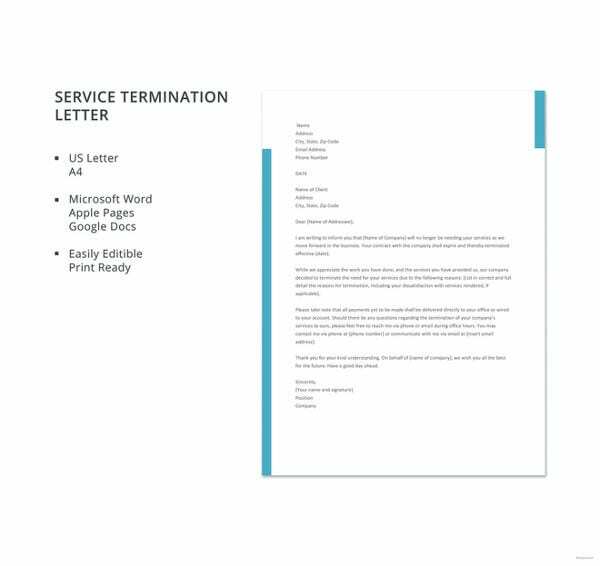 Form simple termination letters and free termination letters to job termination letters and partnership termination letters, there will always be a perfect termination letter template for your needs. 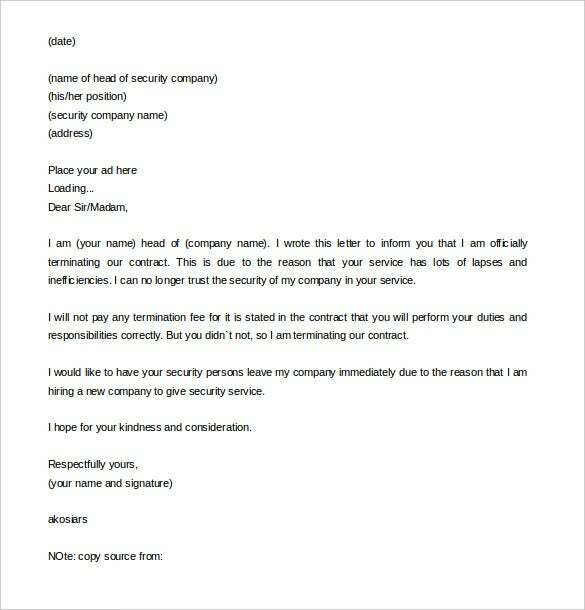 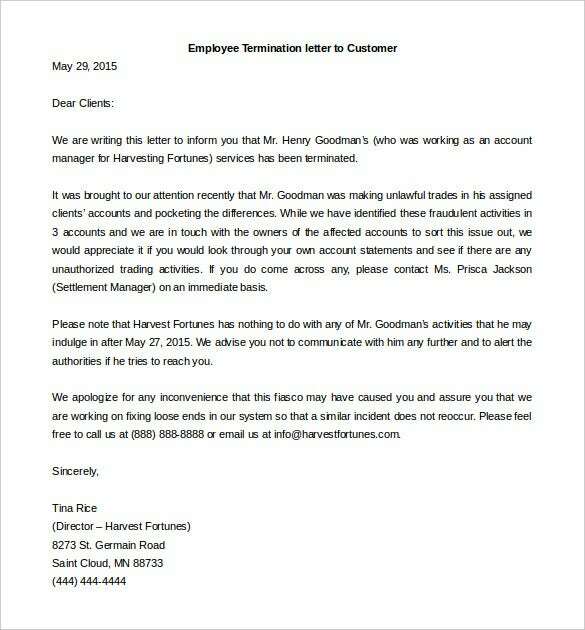 A good example is a job termination letter. 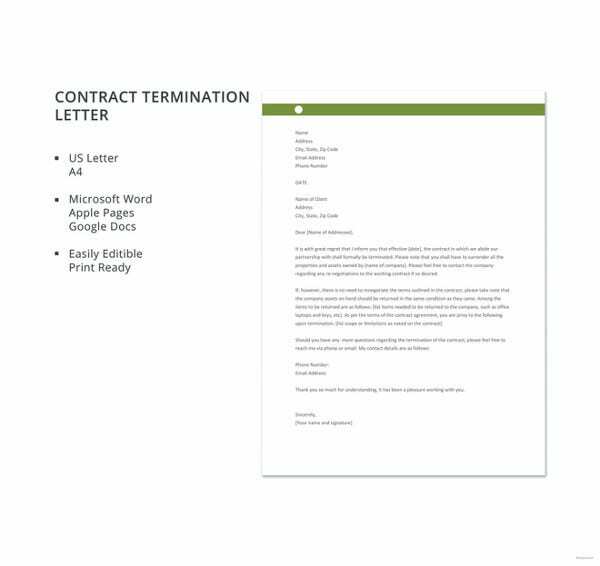 It is often written by either an employee or an employer to express disinterest in working with an organization or company. 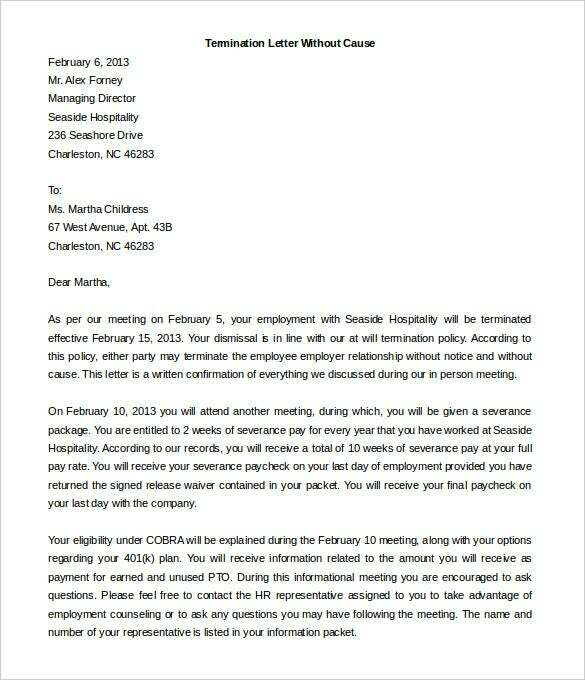 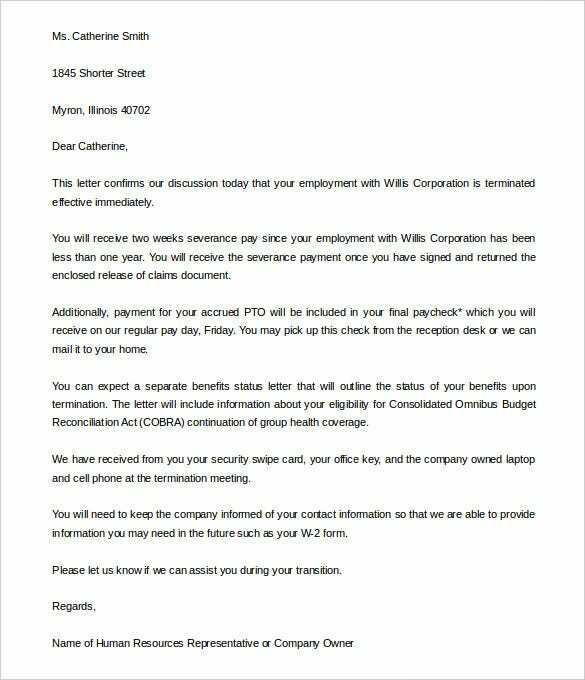 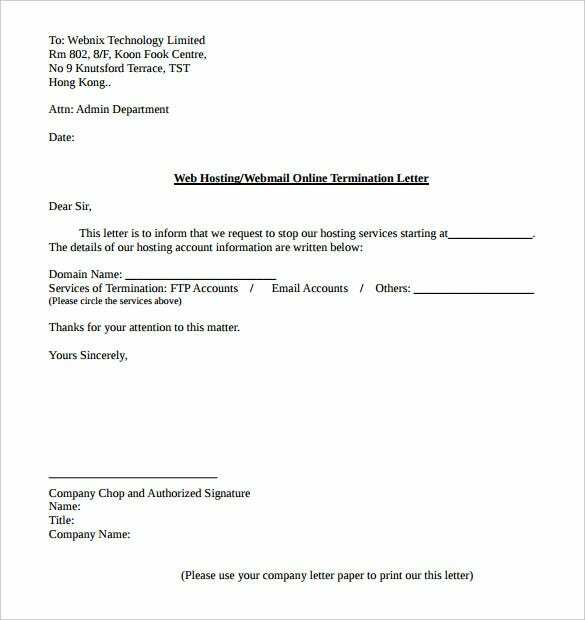 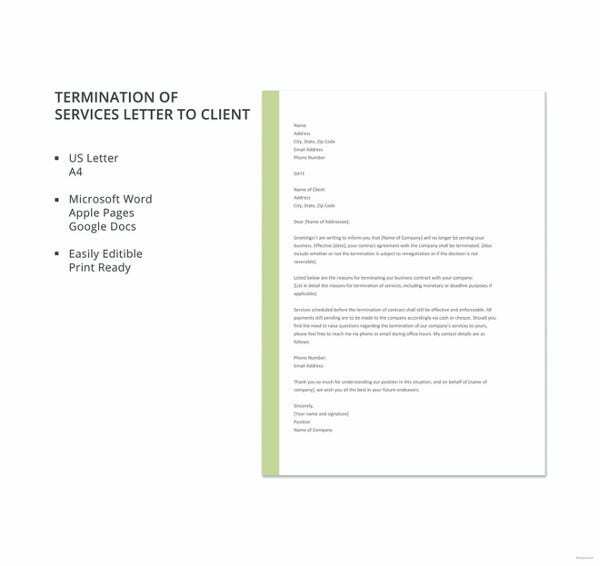 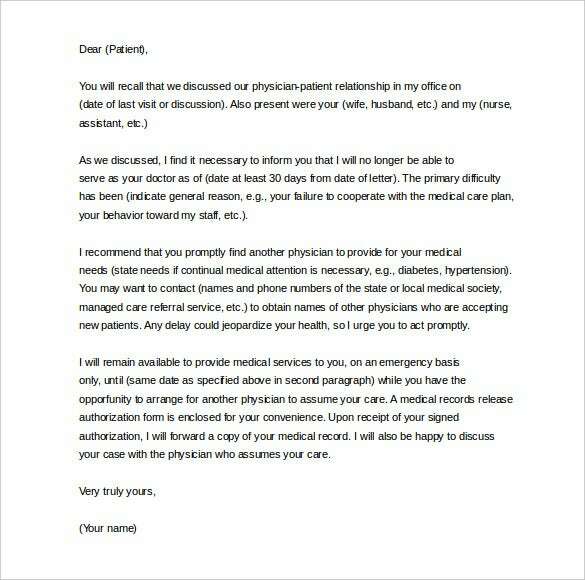 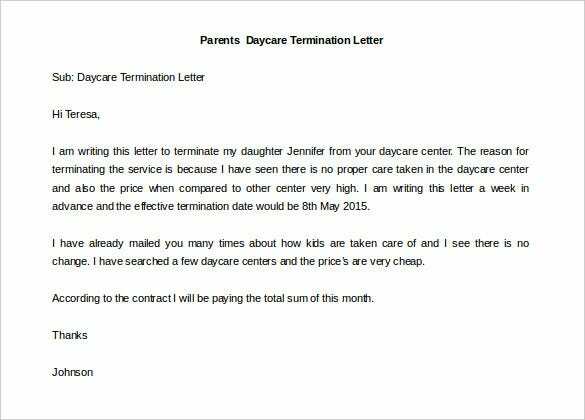 Termination letter templates are free to download. 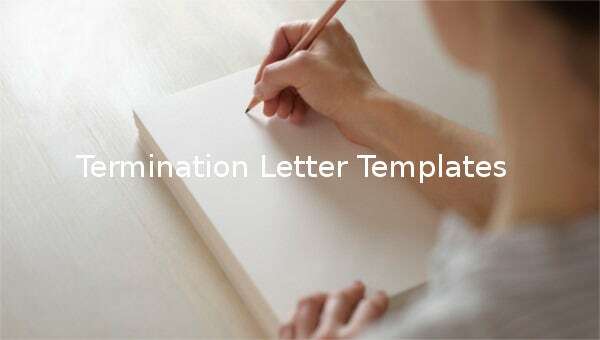 Because there are many templates online, you can’t miss one that suits your needs. 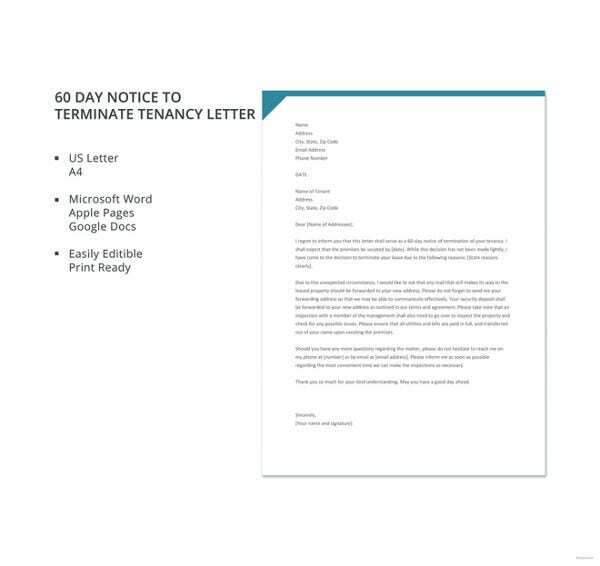 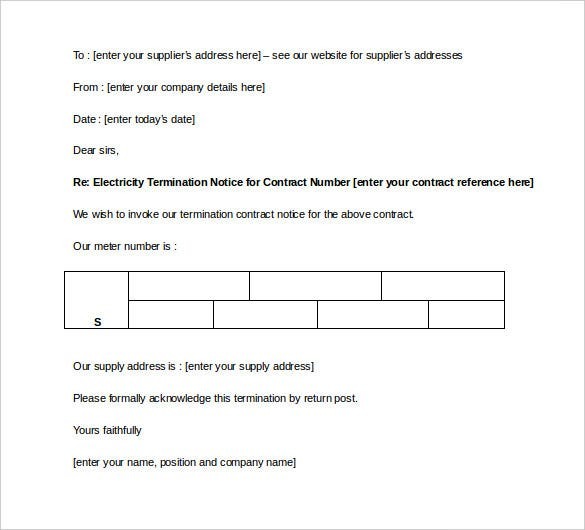 You can download a template and use it as a guide to help you write your own termination letter.